EVERETT – A soil sample taken from Cydney Gillis’ yard last year confirmed what she had long feared. 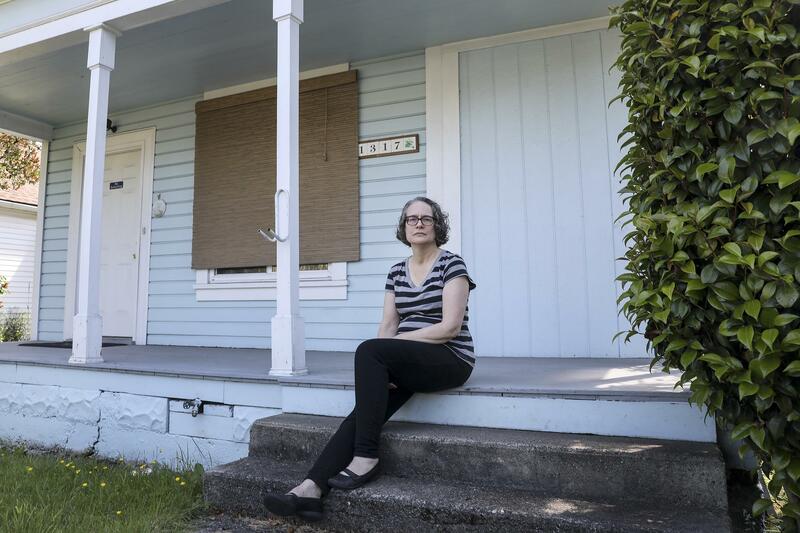 High levels of arsenic pollute her property in Everett’s Delta neighborhood. The chemicals were left more than a century ago by the Everett smelter, whose smokestacks spewed arsenic and lead as the plant heated ore to separate its metals. Nearly three decades after the state discovered the large amounts of arsenic and lead surrounding the former smelter site, about 150 homeowners are still waiting for the contamination to be cleaned up. So far, about 350 properties have been remediated in Everett, using $34 million allocated from a settlement the state received from the smelter’s former owner. The Department of Ecology says there’s enough funding left to start cleanup work on 20 more properties. But after those are completed in 2019, there will be less than $1 million to remove the heavy metals from remaining yards. With funds dwindling, federal lawmakers have promised to get involved. But unless a new source of money is found, homeowners like Gillis – still waiting for the chemicals to be removed – will be left to live with the toxic legacy. “I kept hoping, because I was farther away from the site, I might test clean,” said Gillis, 57, who works in the county’s prosecutor’s office. The smelter operated from 1894 to 1912 near the intersection of North Broadway and E. Marine View Drive. The contaminants released by the plant, which was owned by Asarco when it closed, weren’t discovered until 1990. As cleanup work began, the company declared bankruptcy and the state received a settlement in court of $188 million in 2008 for remediation work around Washington. The company ran another smelter in Tacoma and mines around the state that also required action. From the settlement, $34 million was set aside for Everett. An additional $10 million was used to repay the state for past remediation work here. “Once we got the settlement, we knew there wasn’t enough to complete all the cleanup that needed to get done,” said Sandra Matthews, the Department of Ecology project manager for the former smelter site. Long-term exposure to arsenic has been linked with skin disorders and increased risks for diabetes, high blood pressure and several types of cancer, according to the Centers for Disease Control and Prevention. “Arsenic is a hazard if you consume it, and you can protect yourself by washing your hands before you eat,” Matthews said. To remove the heavy metals, between 12 inches and two feet of soil is taken away, depending on the level of contamination. Clean soil is brought in, along with new landscaping. The ecology department plans to start remediation on 20 Everett properties this year. Afterward, at least 130 properties still will be awaiting cleanup. That number could grow to 230, if the roughly 100 homeowners who never opted into the voluntary program choose to have their soil tested, according to Matthews. The agency is seeking additional funding from the Legislature, Matthews said. In the meantime, the Department of Ecology plans to begin work this fall on contaminated areas along the Snohomish River. About $10 million of the settlement allocated to Everett is being used to remove arsenic, lead and mercury from the shoreline. Ecology also is set to clean up two parks in the Delta neighborhood this fall, Viola Oursler Viewpoint and Wiggums Hollow. Everett received money from the Legislature for this work, which is scheduled to begin after Labor Day. Gillis bought her house in Delta in 2003. She said she was never informed of the contaminants that could be lurking in her yard. In 2017, after her property was finally tested, arsenic was found in the top inches of her soil. The levels were 25 times above the minimum amount that qualifies for state cleanup, according to the documents. Gillis fears she never will be able to sell her house, her biggest investment. “This has got to be remediated,” she said. She’s been attending meetings about the contamination since 2012. Gillis doubts her neighbors, many of whom have toys strewn across their yards, know about the problems. “This is a very, very long, drawn-out story,” said Mary Fosse, who leads the Delta Neighborhood Association. Fosse said many in the neighborhood are angry and frustrated. Fosse, who moved to the area in 2006, was unaware of the area’s toxic history until last year. She lives not far from the designated cleanup zone. The Delta Neighborhood Association is pushing to find another source of funding. The Department of Ecology needs a consistent stream of money for many years to finish the work on all the affected properties, Fosse said. The association has reached out to elected officials, including Sens. Maria Cantwell and Patty Murray, and Rep. Rick Larsen. Earlier this month, a spokesman for Cantwell’s office said the three are working together to identify federal sources to help finish the cleanup. But where and when those dollars might come is unknown. Published: June 30, 2018, 10:11 a.m.